It was sometime around the ninth century that a hymn for the Holy Spirit was believed to be written by Rhabanus Maurus, Archbishop of Mainz. With today being Pentecost, the day we celebrate the pouring out of the Holy Spirit upon the disciples in Acts 2, I wanted to share the lyrics of the hymn with you. The English translation below is taken from Raniero Cantalamessa, an Italian Catholic priest who has served as the preacher to the Papal Household since 1980. Cantalamessa shared this translation in his excellent book of meditations upon the hymn in Come, Creator Spirit. and anointing for the soul. putting words upon our lips. we avoid all cause of harm. to you, the Spirit of them both. 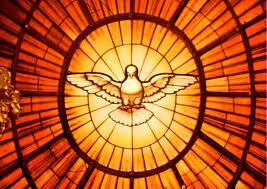 Happy Pentecost, sisters and brothers!